Caring for seriously ill and dying patients and coping when people we care for die is difficult. Regardless of the closeness or distance of the relationship people become emotionally invested in the welfare of those we care for, so it is hardly surprising that nurse assistants sometimes struggle to cope even needing extra help to keep going. Dying and death cannot be taught in college, and any advice given before the nurse assistant takes on a seriously ill patient will by necessity be fairly broad given the length of training a nurse assistant receives before sitting their state exam. The majority of nurse assistants will be working in aged care facilities and clinics that deal with long term ill or injured people, so it is inevitable that they will experience the shock of working closely with a dying patient, and only a matter of time until they feel a sense of loss when the patient dies. Given the role of the nurse assistant to help patients with grooming, changing linen, communicating, or just being a friend, it’s easy to see why the patient’s well being is well known, and why the nurse assistant becomes attached to their patients. Seriously ill and dying people are not always depressed, and most try to be positive. These qualities are endearing and quickly lead to feelings of closeness between patient and carer, and since most nurse assistants are naturally empathic people the toll of dealing with patients in this position can be high. It is important then to have procedures and protocols in place for recognizing the effects on carers, and to take steps to ensure that carers in this position are supported so that they continue to give the best care to their patients. 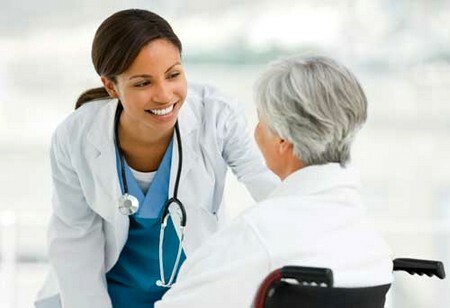 Some employers, notably in palliative or hospice care environments are acutely aware of the depression that can affect staff and organize regular and in some cases compulsory group support or counseling sessions, but the majority of nurse assistants probably work in other environments where these techniques are not adopted. Grief, worry, and depression are often only mentioned briefly in nurse assistant training, and sometimes not at all by management in hospitals and health clinics. Choosing to become a nurse assistant and then completing a recognized STNA course should not be the end of any training a nurse assistant receives, actually the advice of any competent employer and training provider would be that this is in fact only the beginning even if the individual has no desire to become a registered nurse. Completing a 75 hour course of instruction is not sufficient in most cases to dealing with dying and death, so it is incumbent on the nurse assistant to undertake continuing education, especially courses that deal with interpersonal communication and psychology. Many community colleges offer weekend or evening courses of only a few hours that cover many of the basics of dealing with people and grief, many of them free or heavily subsidized. Courses of this nature help prepare caregivers for dealing with dying and death, and it is possible they may also work toward college credits or increased responsibility in the workplace.